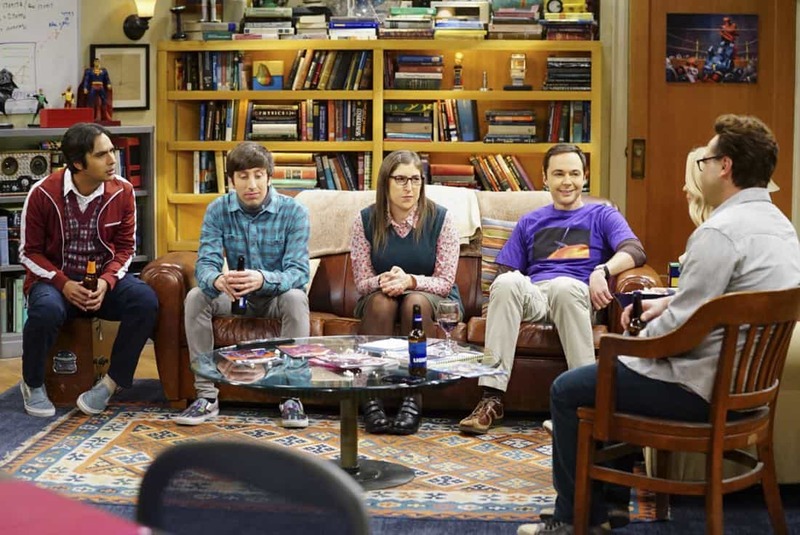 “The Tesla Recoil” — Pictured: Sheldon Cooper (Jim Parsons), Amy Farrah Fowler (Mayim Bialik), Leonard Hofstadter (Johnny Galecki) and Howard Wolowitz (Simon Helberg). Leonard and Wolowitz are furious after they learn Sheldon went to work with the military behind their backs. 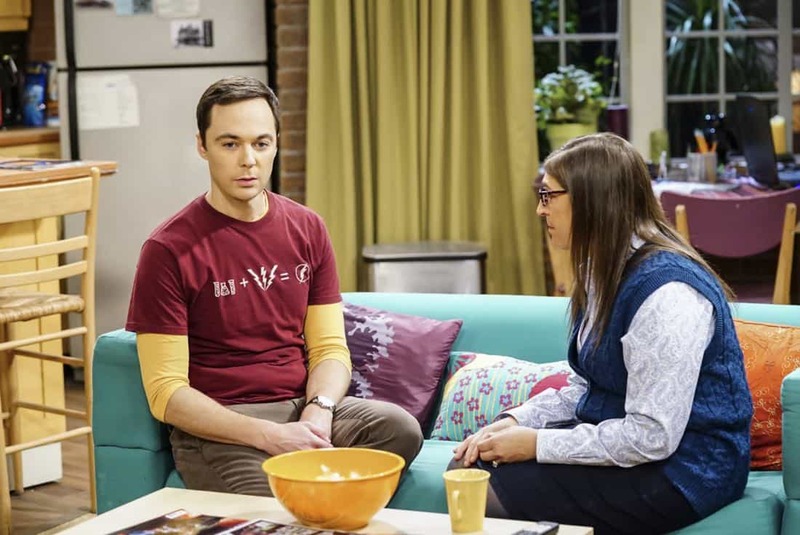 Also, while Bernadette is on bed rest, she asks Raj to do some digging when she suspects Ruchi is trying to steal her job, on THE BIG BANG THEORY, Thursday, Nov. 16 (8:00-8:31 PM, ET/PT) on the CBS Television Network. Photo: Sonja Flemming/CBS ÃÂ©2017 CBS Broadcasting, Inc. All Rights Reserved. 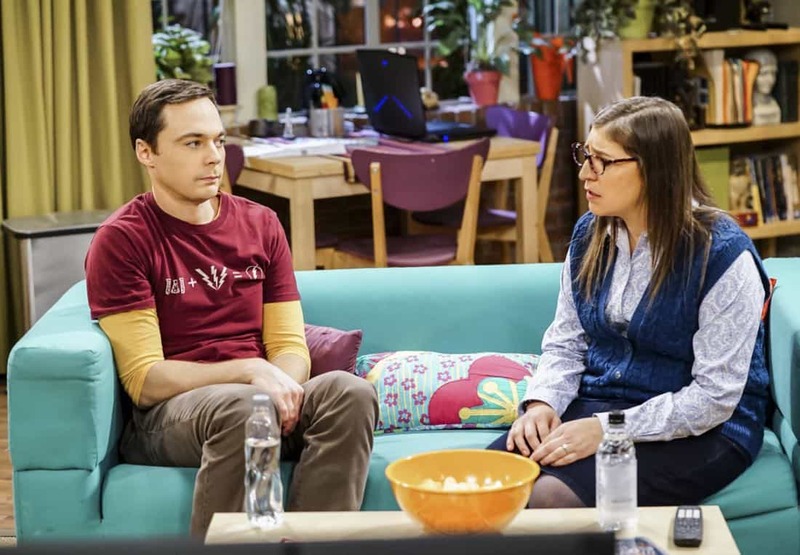 “The Tesla Recoil” — Pictured: Sheldon Cooper (Jim Parsons) and Amy Farrah Fowler (Mayim Bialik). 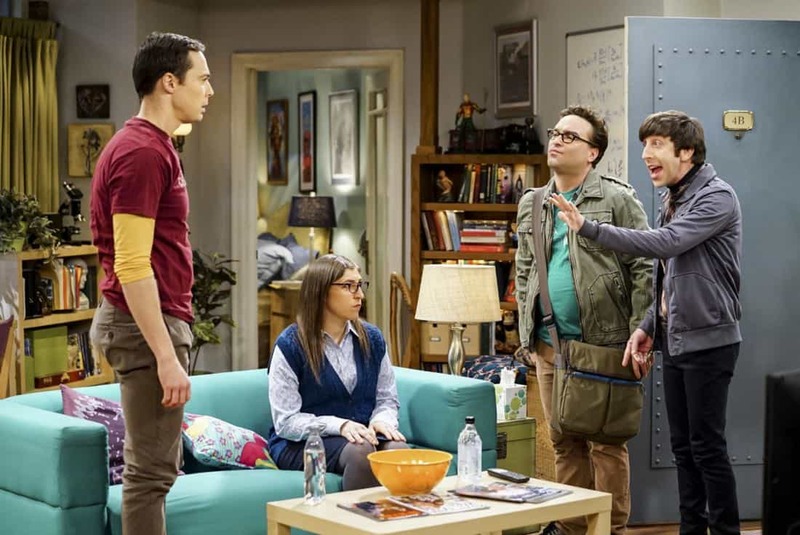 Leonard and Wolowitz are furious after they learn Sheldon went to work with the military behind their backs. 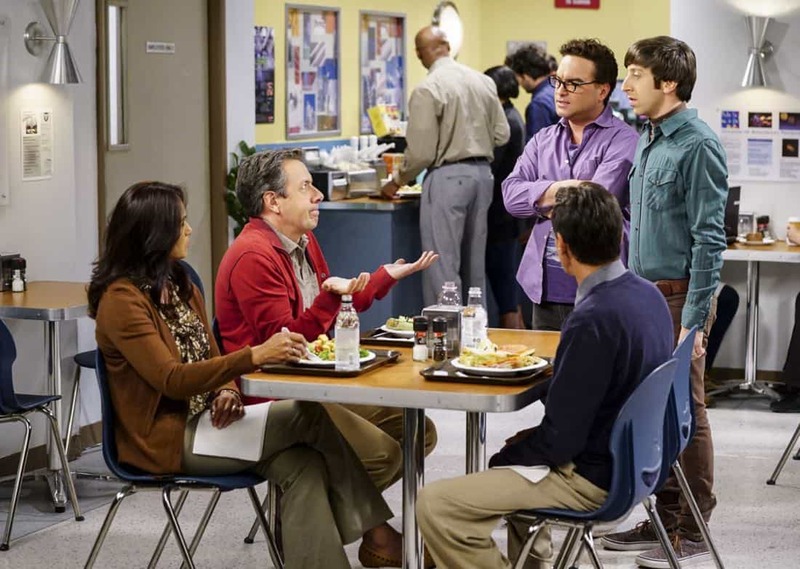 Also, while Bernadette is on bed rest, she asks Raj to do some digging when she suspects Ruchi is trying to steal her job, on THE BIG BANG THEORY, Thursday, Nov. 16 (8:00-8:31 PM, ET/PT) on the CBS Television Network. Photo: Sonja Flemming/CBS ÃÂ©2017 CBS Broadcasting, Inc. All Rights Reserved. 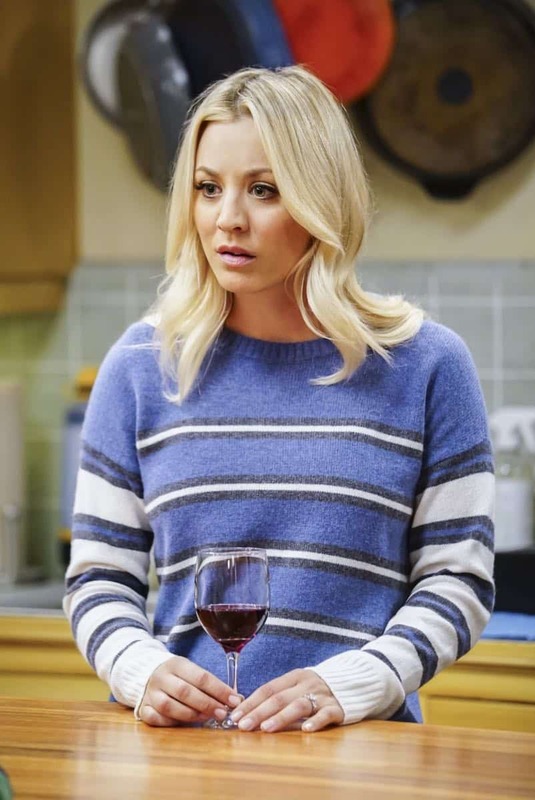 “The Tesla Recoil” — Pictured: Penny (Kaley Cuoco). Leonard and Wolowitz are furious after they learn Sheldon went to work with the military behind their backs. Also, while Bernadette is on bed rest, she asks Raj to do some digging when she suspects Ruchi is trying to steal her job, on THE BIG BANG THEORY, Thursday, Nov. 16 (8:00-8:31 PM, ET/PT) on the CBS Television Network. Photo: Sonja Flemming/CBS ÃÂ©2017 CBS Broadcasting, Inc. All Rights Reserved. 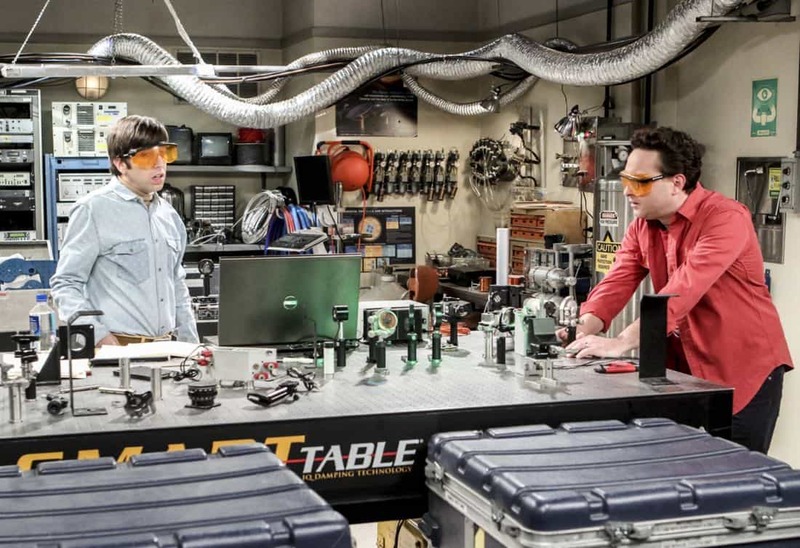 “The Tesla Recoil” — Pictured: Howard Wolowitz (Simon Helberg) and Leonard Hofstadter (Johnny Galecki). Leonard and Wolowitz are furious after they learn Sheldon went to work with the military behind their backs. 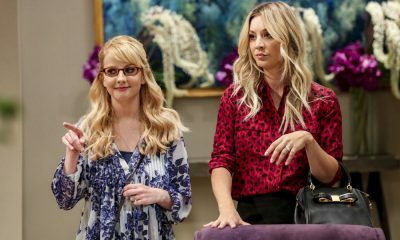 Also, while Bernadette is on bed rest, she asks Raj to do some digging when she suspects Ruchi is trying to steal her job, on THE BIG BANG THEORY, Thursday, Nov. 16 (8:00-8:31 PM, ET/PT) on the CBS Television Network. 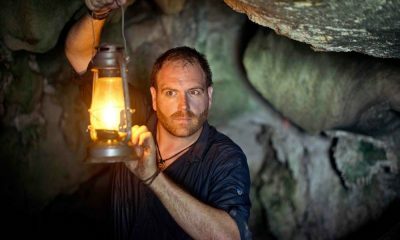 Photo: Sonja Flemming/CBS ÃÂ©2017 CBS Broadcasting, Inc. All Rights Reserved. 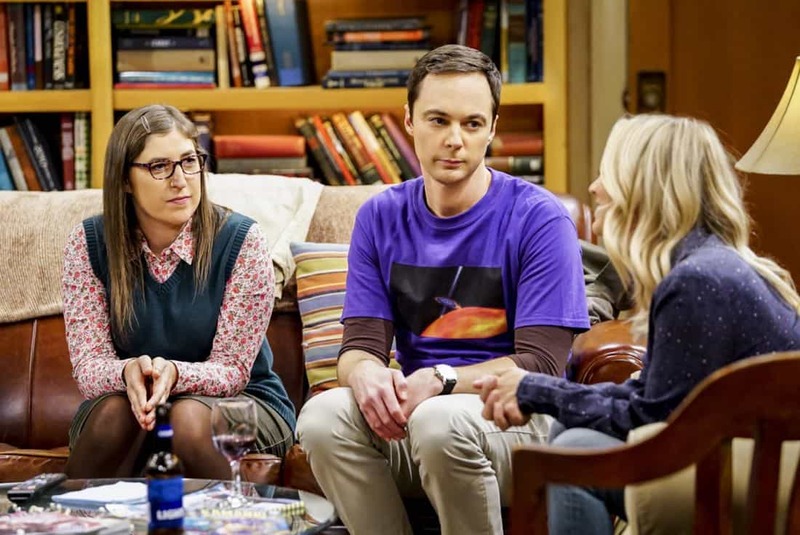 “The Tesla Recoil” — Pictured: Rajesh Koothrappali (Kunal Nayyar), Howard Wolowitz (Simon Helberg), Amy Farrah Fowler (Mayim Bialik) and Sheldon Cooper (Jim Parsons). Leonard and Wolowitz are furious after they learn Sheldon went to work with the military behind their backs. 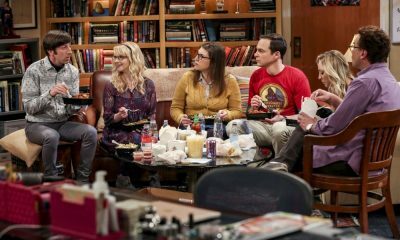 Also, while Bernadette is on bed rest, she asks Raj to do some digging when she suspects Ruchi is trying to steal her job, on THE BIG BANG THEORY, Thursday, Nov. 16 (8:00-8:31 PM, ET/PT) on the CBS Television Network. Photo: Sonja Flemming/CBS ÃÂ©2017 CBS Broadcasting, Inc. All Rights Reserved. 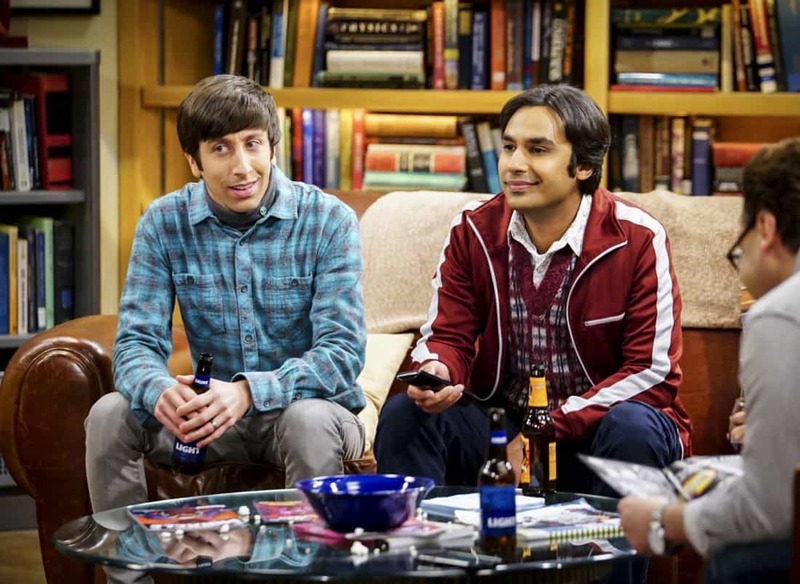 “The Tesla Recoil” — Pictured: Howard Wolowitz (Simon Helberg) and Rajesh Koothrappali (Kunal Nayyar). Leonard and Wolowitz are furious after they learn Sheldon went to work with the military behind their backs. Also, while Bernadette is on bed rest, she asks Raj to do some digging when she suspects Ruchi is trying to steal her job, on THE BIG BANG THEORY, Thursday, Nov. 16 (8:00-8:31 PM, ET/PT) on the CBS Television Network. Photo: Sonja Flemming/CBS ÃÂ©2017 CBS Broadcasting, Inc. All Rights Reserved. 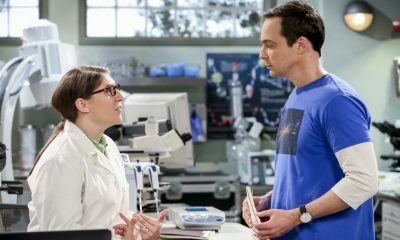 “The Tesla Recoil” — Pictured: Amy Farrah Fowler (Mayim Bialik) and Sheldon Cooper (Jim Parsons). Leonard and Wolowitz are furious after they learn Sheldon went to work with the military behind their backs. Also, while Bernadette is on bed rest, she asks Raj to do some digging when she suspects Ruchi is trying to steal her job, on THE BIG BANG THEORY, Thursday, Nov. 16 (8:00-8:31 PM, ET/PT) on the CBS Television Network. Photo: Sonja Flemming/CBS ÃÂ©2017 CBS Broadcasting, Inc. All Rights Reserved. 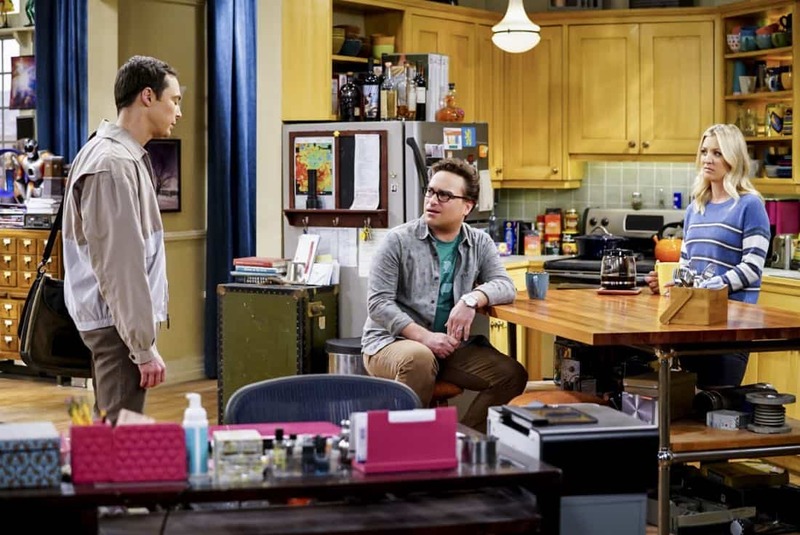 “The Tesla Recoil” — Pictured: Sheldon Cooper (Jim Parsons), Leonard Hofstadter (Johnny Galecki) and Penny (Kaley Cuoco). Leonard and Wolowitz are furious after they learn Sheldon went to work with the military behind their backs. 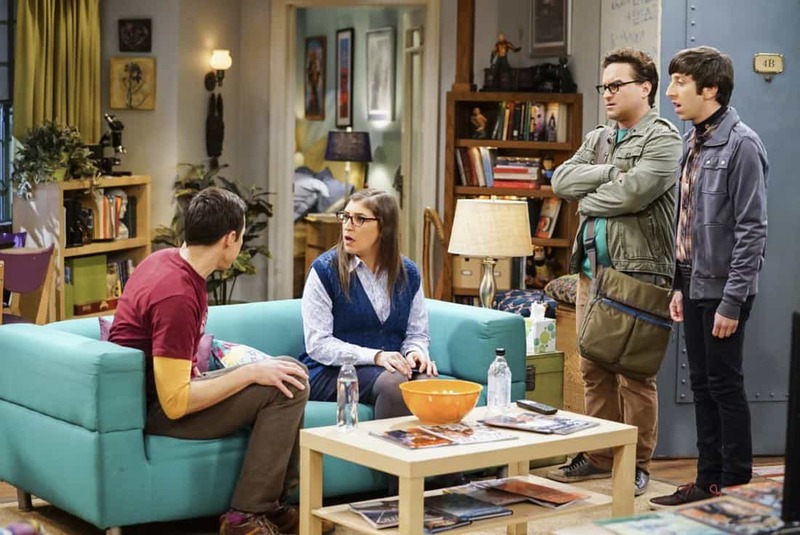 Also, while Bernadette is on bed rest, she asks Raj to do some digging when she suspects Ruchi is trying to steal her job, on THE BIG BANG THEORY, Thursday, Nov. 16 (8:00-8:31 PM, ET/PT) on the CBS Television Network. Photo: Sonja Flemming/CBS ÃÂ©2017 CBS Broadcasting, Inc. All Rights Reserved. “The Tesla Recoil” — Pictured: Kripke (John Ross Bowie), Leonard Hofstadter (Johnny Galecki) and Howard Wolowitz (Simon Helberg). Leonard and Wolowitz are furious after they learn Sheldon went to work with the military behind their backs. Also, while Bernadette is on bed rest, she asks Raj to do some digging when she suspects Ruchi is trying to steal her job, on THE BIG BANG THEORY, Thursday, Nov. 16 (8:00-8:31 PM, ET/PT) on the CBS Television Network. Photo: Sonja Flemming/CBS ÃÂ©2017 CBS Broadcasting, Inc. All Rights Reserved. 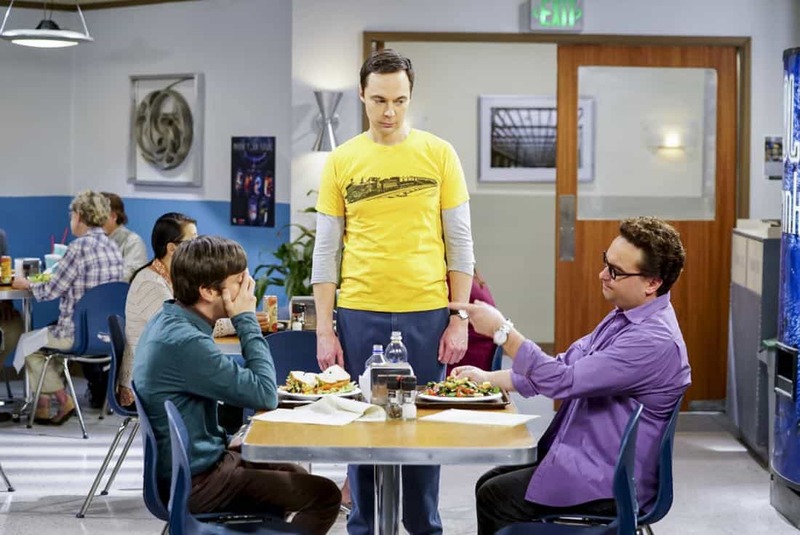 “The Tesla Recoil” — Pictured: Howard Wolowitz (Simon Helberg), Sheldon Cooper (Jim Parsons) and Leonard Hofstadter (Johnny Galecki). Leonard and Wolowitz are furious after they learn Sheldon went to work with the military behind their backs. Also, while Bernadette is on bed rest, she asks Raj to do some digging when she suspects Ruchi is trying to steal her job, on THE BIG BANG THEORY, Thursday, Nov. 16 (8:00-8:31 PM, ET/PT) on the CBS Television Network. Photo: Sonja Flemming/CBS ÃÂ©2017 CBS Broadcasting, Inc. All Rights Reserved. 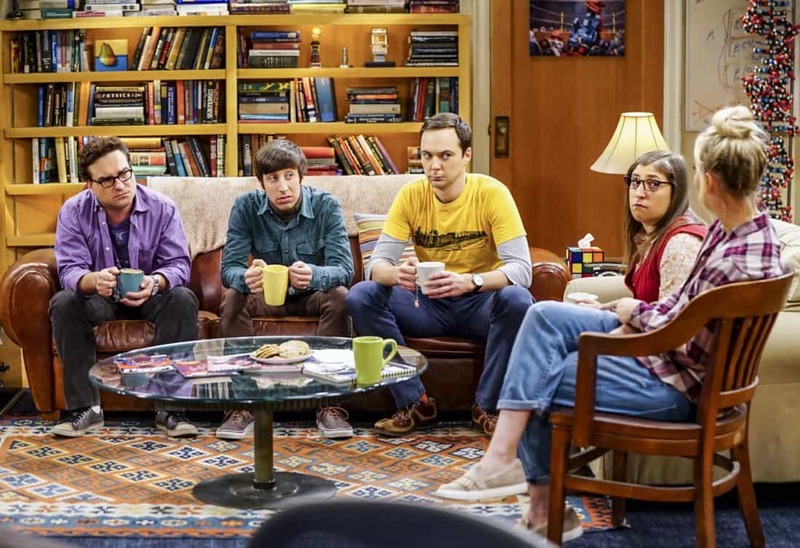 “The Tesla Recoil” — Pictured: Leonard Hofstadter (Johnny Galecki), Howard Wolowitz (Simon Helberg), Sheldon Cooper (Jim Parsons), Amy Farrah Fowler (Mayim Bialik) and Penny (Kaley Cuoco). Leonard and Wolowitz are furious after they learn Sheldon went to work with the military behind their backs. Also, while Bernadette is on bed rest, she asks Raj to do some digging when she suspects Ruchi is trying to steal her job, on THE BIG BANG THEORY, Thursday, Nov. 16 (8:00-8:31 PM, ET/PT) on the CBS Television Network. Photo: Sonja Flemming/CBS ÃÂ©2017 CBS Broadcasting, Inc. All Rights Reserved. 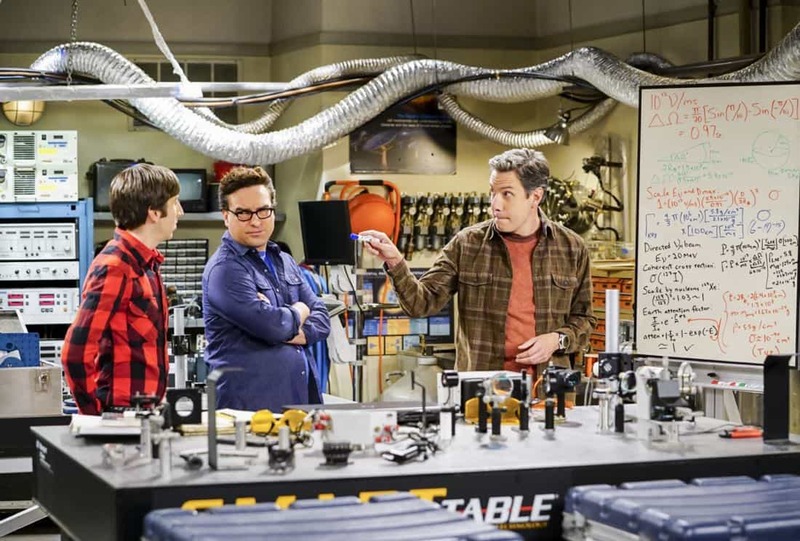 “The Tesla Recoil” — Pictured: Howard Wolowitz (Simon Helberg), Leonard Hofstadter (Johnny Galecki) and Kripke (John Ross Bowie). Leonard and Wolowitz are furious after they learn Sheldon went to work with the military behind their backs. Also, while Bernadette is on bed rest, she asks Raj to do some digging when she suspects Ruchi is trying to steal her job, on THE BIG BANG THEORY, Thursday, Nov. 16 (8:00-8:31 PM, ET/PT) on the CBS Television Network. Photo: Sonja Flemming/CBS ÃÂ©2017 CBS Broadcasting, Inc. All Rights Reserved.